All Arps Dairy products, including our soft serve ice creams and our ice cream base, is made with dairy sourced from local family farmers who guarantees their milk to be antibiotic free, never uses any added growth hormones such as rBST, and all operate under the FARM program which sets the standards for animal care. Our family farmers ensure all Arps Dairy products are produced in the most responsible manner possible, which is a major component of our Dairy With Integrity philosophy. Arps Dairy offers delicious, rich and creamy ice cream products your customers are sure to love, all of which use real, natural ingredients including granulated sugar – never high fructose corn syrup or artificial sweeteners. Additionally, all ice cream products are delivered in standard milk crates which stack and store much better than a corrugated box. Finally, Arps Dairy will bring innovative marketing opportunities for your ice cream shop, branded under your name, to help you drive foot traffic and increase sales. As an ice cream partner of Arps Dairy, we will help you to not only succeed, but excel! 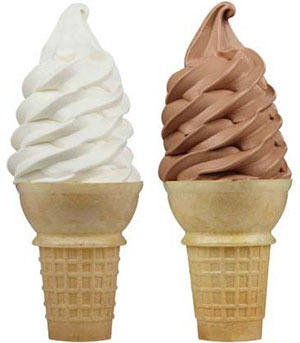 Private label opportunities of Arps Dairy ice cream products are available. Order quantities are per case. 1 milk crate case contains two 2.5 gallon mix bags.